Precious Metals Bullion – What Options Do I Have for Investment? Investing in silver and gold has become incredibly popular within a few recent years. Poor state of global economy have pushed many investors who would normally be participating in money market funds, to make a switch due to fear of losing all of their funds. The nature of gold and silver and their ability to serve as a hedge against inflation in tough economic times, have definitely made this investment option very appealing. Investing in bullion products, whether you choose coins or bars, is one of the top choices. When it comes to precious metals bullion you may want to know what all of your available investment options are. Knowing them can help you make a more informed decision. You can choose gold, silver, palladium and platinum bullion and each will have benefits and drawbacks. Gold is one of the most sought after metals when it come to precious metals bullion, and the market price for this metal has reached record heights recently. The other precious metals have also seen increases as well. Platinum is another choice when it comes to precious metals bullion you can choose for your investment capital. Platinum bars are extremely valuable, and often preferred just as much as silver and gold are by investors around the world. Palladium bullion is a fairly new choice for most investors, and some do not even know about this secret precious metal. Palladium is used in manufacturing as well as for other purposes, and this metal has also seen terrific returns in the last few years. The precious metals bullion you finally choose will depend on your personal preferences, as well as other factors. Once you have chosen the type of metal that you want to invest in, you will need to choose the forms. 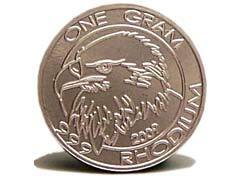 Almost all bullion products can be found in coins or bars. If you are going to buy coins look at the motivation behind these purchases. Will you want coins for their metal value or for their rarity and historical value? Some coins may have a value in both areas, and often the historical value of a rare coin will far exceed the value of the precious metal content in it. But in the end you definitely want to look beyond the numismatic value adding unnecessary costs to your investment and focus purely on bullion products.